Recently there have been some exciting wins by online lotto players. Here are their stories! Most recently, a man from Victoria became Australia’s newest millionaire when his online System 7 ticket landed a Division 1 prize in the weekend’s $4,000,000 Saturday Lotto draw. The lucky winner, who wishes to remain anonymous, told lottery officials that he purchased his ticket online “on a whim”. 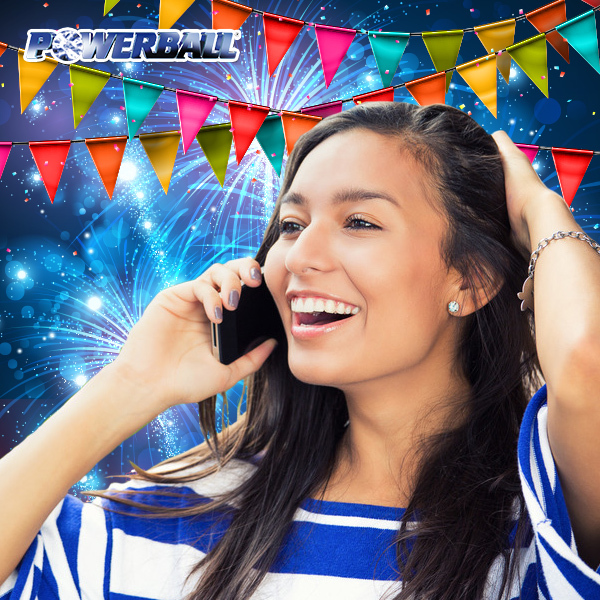 In April this year, an Oz Lotteries member from the Northern Rivers region of New South Wales was the sole winner of the $30 Million Powerball mega jackpot. She just couldn’t believe her ears when she realised she’d won. “I was in total shock, and still am,” she told Oz Lotteries. Her winning Super Combo Powerhit System 7, purchased on her mobile from OzLotteries.com, brought her a total of $30,522,908.50 in prize money from multiple divisions. After checking her email inbox to find a message from Oz Lotteries notifying her of the Division 1 win, the woman “screamed” to her husband that they might have won lotto. “He thought it was spam mail… or a technical glitch… and everyone got a message saying they had won!” However it all became real once she received a confirmation phone call from the Customer Support team, and she was able to share the amazing news with her husband and mother. The Oz Lotteries online winning streak goes back to 2014, when one lucky family from Tennant Creek in the Northern Territory became $1,500,000 richer in last November’s $21 Million Superdraw. This is the moment life as they knew it changed forever! The winner, who wishes to remain anonymous, learned about her Division 1 win when her husband checked their Oz Lotteries account after the draw. “He started jumping up and down and yelling: “Oh my god, oh my god, we won!” I thought he was joking. It took quite a while for me to realise it was real. I was in absolute shock!” the overwhelmed winner said. The couple also said they would buy a new car and a few nursery items for their brand new baby. “I am so thankful to god for this win! It couldn’t have come at a better time,” the new mother and millionaire added. I never winning all my life Grrrr how I get winning lotto? Years ago I won $9,876.00 on powerball so I put $124.00 with it and put it in the bank. I have always had this feeling that one day I will win a large amount and I have probably given most or all of that money back over the years but I will never stop buying lotto regardless as that money spent can make a dream a reality and that’s what I am waiting for. You will spend your $$$$$$ on something else anyway so why not give it a go. One gripe I do have however is that I should have won $41,000 as 2nd division but somehow that division does not even include the powerball number????? Its called ( POWERBALL ) It does not make any sense to me. One must have created good “Karma” i.e. create good causes and good results will come around. It’s the same with bad karma i.e created bad causes will effect in bad results. This is the nature of cause and effect. For example, look at those millionaires and billionaires, they donated so much to charities from their accumulation of wealth that must be the result of past lives generosity. When I come here to Australia ,I come from Melbourne , I send a message to Prime minister 1975 we don’t have a gold lotto here in QLD and we planning to open a business here . But , we don’t have enough money to open a shop. Then later I saw on the shop they selling a gold lotto since then I keep buying a Gold lotto but never win a big price and I keep praying to God until this year 2016 even 5. Million only and I am not very greedy person but still waiting my wishes to be granted. Unless you don’t need to pray and it will come unexpected situation hoping one day my wishes will be granted and I don’t like anymore to become a pensioners for the rest of my life. My time is close now I’m feeling lucky and positive? My time is now and I can feel it. I know in my heart that I will soon strike it rich. Thanks to online lottos.